By any measure Hector’s dolphins are a very special animal. 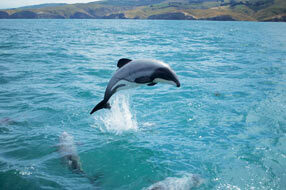 Not only are they the smallest dolphin in the world, they are also the only one native to New Zealand. They’re as kiwi as the kiwi. If that is not enough, just like New Zealanders, they are very friendly, often investigating boats and people in the water. So beloved are the dolphins, that an industry has sprung up to take people out to see or swim with them. Much of the Hector’s activity is based in the beautiful sheltered harbour of Akaroa. Black Cat Cruises was the first operator in 1985 and with other operators its estimated around 1 million people have seen Hector’s dolphins in the last 33 years. It’s an unrivalled and incredible setting to appreciate these very special dolphins and without exception people who see these dolphins form a connection. It’s estimated the Akaroa Hector’s dolphin industry generates $24.5M* a year in direct and indirect revenue with $19.5M of that for Canterbury alone. This equates to 476 jobs (419 in Canterbury) The dolphins are the must do attraction in Akaroa and bring vital tourism dollars to the region. Nearly $100M in the last 4 years. Plus when asked how important was a dolphin tour to the decision to visit New Zealand, over 45% stated it was either important or very important; indicating the nature experience is a key factor in choosing to come to New Zealand. So what’s happening? 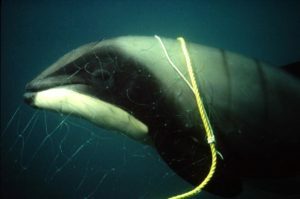 The greatest threat to the Hector’s dolphins is getting caught and drowned in set nets. As their name suggests, fishers drop the net to the ocean floor and come back later to pull it up. Unfortunately the net is very difficult for a dolphin to detect and they drown if caught. It’s not that New Zealand has done nothing. In 1988 the Banks Peninsula Marine Mammal sanctuary was put in place which introduced some fishing restrictions especially around set netting in the area. At first glance this sounds like a great move but if you look at the details it provided only a modicum of protection and was far from the ‘sanctuary’ it pretended to be. In 2008 more protection was added by extending the boundaries. However today there is the crazy situation where nets can still be set in and around Banks Peninsula in areas where the dolphins are known to range. Commercial set netting occurs from 4 miles out to sea and flounder nets can be set in Akaroa Harbour from April to October. 5 dolphins were killed in one set net off the Canterbury coast. And in Akaroa Harbour where a dolphin drowned in 2015. And these are just the tip of the iceberg. Compounding the problem is that these dolphins only breed once every 2-3 years. So any death in the population is very hard to replace. Its thought the dolphin population is slowly reducing by 1% per year. Right now the NZ government is formulating a plan for discussion. The ‘Threat Management Plan’ is due for release in 2019 and will take a scientific look at the current rate of kill and what, if anything, should be done about it. To us it’s very clear that set netting no longer has a place for NZ fishing. We need better protection for Hectors around the South Island from all set netting – in the areas they range. Studies have shown whilst they are an ‘in-shore’ dolphin, they also range out to sea as much as 25 miles; though the range is more dependent on the depth of the water. Hector’s don’t tend to fish in water deeper than 100M. We’re seeking to ensure the Banks Peninsula Sanctuary is a safe place for dolphins. We want to see an all year ban of set netting in the harbours, plus an extension of the commercial ban out to 100m depth (around 20 miles). In addition an extension of the sanctuary up and down the South Island. Only this will bring true haven status to the waters of Banks Peninsula. Not only is that our responsibility as Kaitiakitanga or good guardians, but also it makes good economic sense. The dolphin industry supports an entire sector – literally hundreds of jobs (directly and indirectly) in Canterbury alone and millions of dollars. Commercial set netting accounts for just a handful around Banks Peninsula. The benefits are clear – protection of one of our most special natives, protection of an entire industry and jobs and economic benefit for NZ. This is an urgent problem with a simple solution. Come on New Zealand, we can do better than this. * GDP – value added spend on day of travel. M.E Consulting ‘Hector’s dolphin eco-tourism economic impact assessment. November 2018. 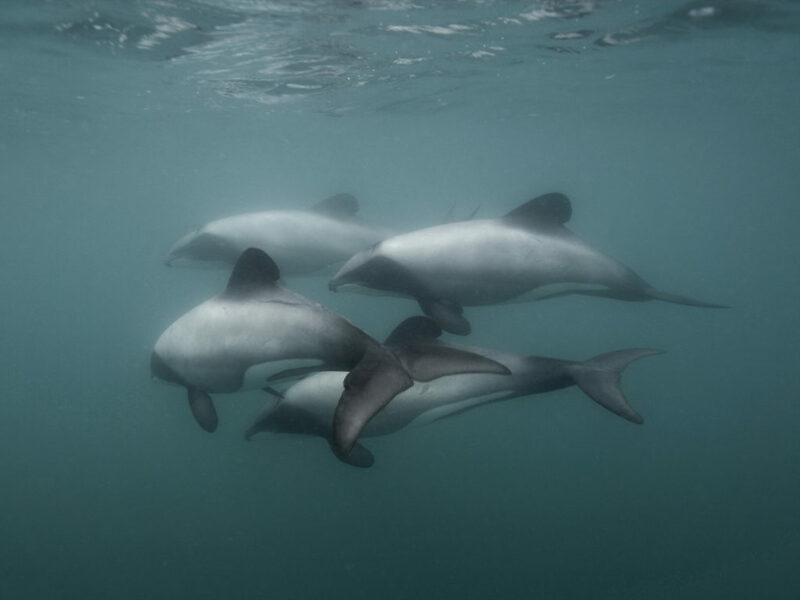 This entry was posted in Black Cat News, Hector's Dolphins and tagged Dolphins, Endangered, Hector's Dolphin, New Zealand's Dolphin, Protection, Set Nets, Threat Management Plan.